The turtle season in New England is too short on a good year. Females struggle to emerge from winter brumation (reptilian hibernation) as temperatures slowly rise in late spring. Once the alarm clock rings, they hurry through wake-up, bask a bit to restore internal temperature, forage for calories to recover from more than six months of forced dieting, swing into a round or two of turtle speed dating, pad lots more calories to develop a clutch of eggs, crawl through predator infested paths to reach their nesting site, excavate and then conceal a subterranean egg chamber for their precious eggs, for many species try to squeeze in a second nest, bulk up on food to replace as much as 20% of their body mass donated to their offspring, and finally collapse into six months of welcomed rest as temperatures plunge in early fall. For a turtle, actually for any species, the pace is hectic. 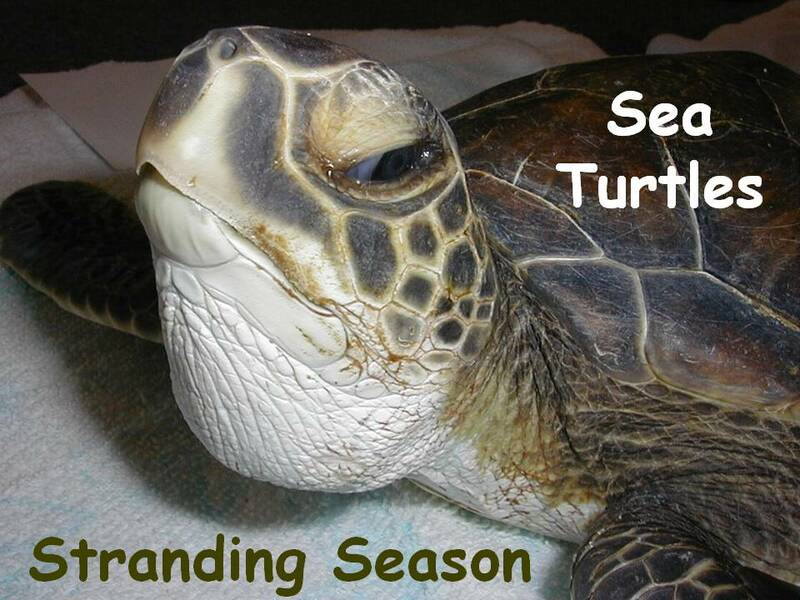 So, when we have a REALLY compressed season like 2009, a year without springtime when everthing turtle was delayed two weeks to a month, the situation becomes extremely dicey for adults and lethal for baby hatchlings. 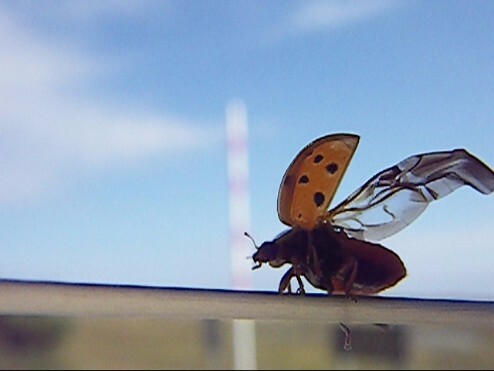 Many emerge from nests too late for any reasonable chance of survival. That’s when the Turtle Journal Team and a host of other partners swing into action to save some of these at-risk babies through over-wintered headstarting. These diamondback terrapin hatchlings were double-saved. 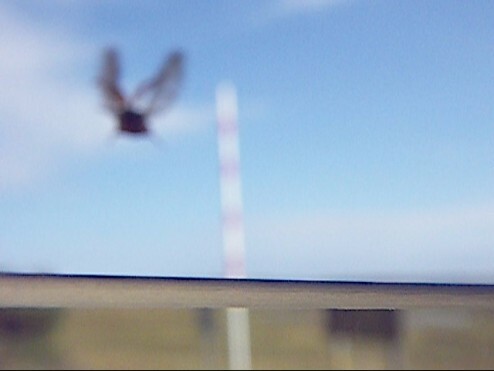 First, their nest was rescued from a construction site on Great Island in Wellfleet on Outer Cape Cod by an observant construction team. They were relocated to a safe incubation spot. Now they’ve been rescued from a late emergence at the end of October that would have doomed them. Notice how even on Halloween they still have their natal egg teeth! These tiny miracles are wonderfully happy in their warm water surroundings. 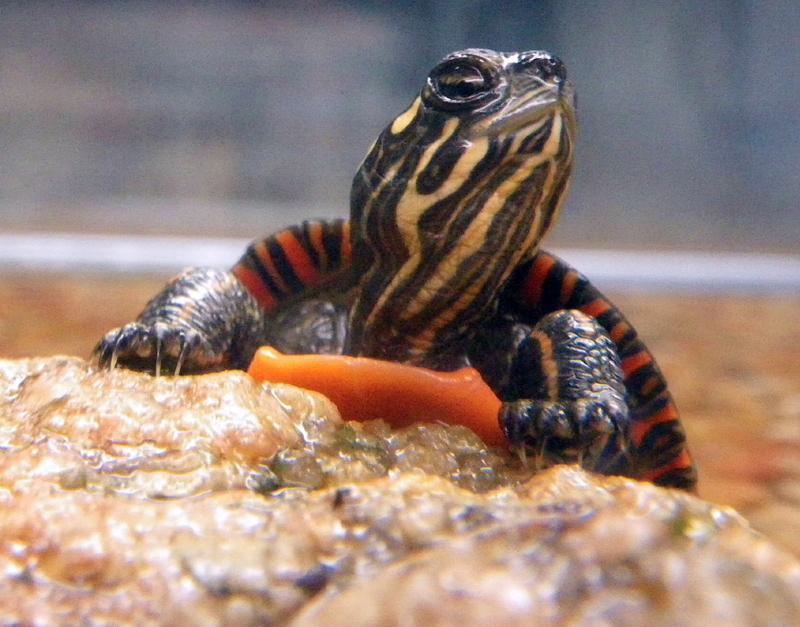 This painted turtle was the runt of its litter, coming out long after its siblings had disappeared back into the pond. The snapper was rescued as an egg that was dropped on an asphalt road. In this unusual year, the egg took 142 days (!!!) to incubate, leaving a very weak baby that needed a lot of TLC to survive. Something you never have a chance to see in the wild is snoozing baby turtles. 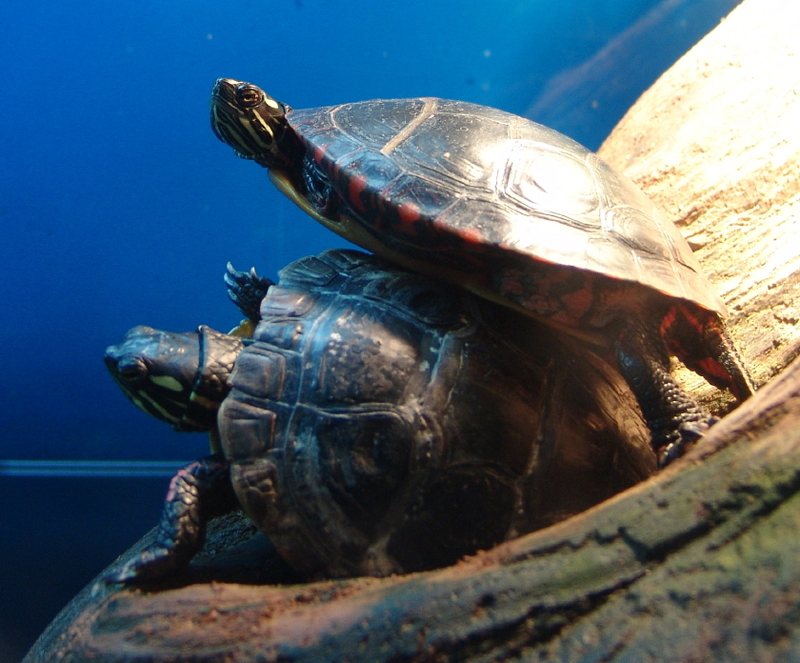 After an exhaustive day of playing, frolicking and practice swimming, they gently doze off into the land of Turtle Nod. 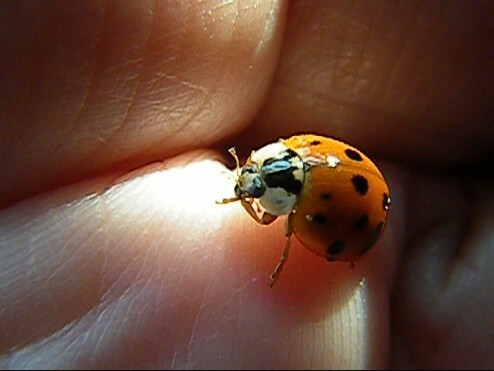 As hatchlings they are very tactile and feel secure in sleeping in close touch with their siblings. 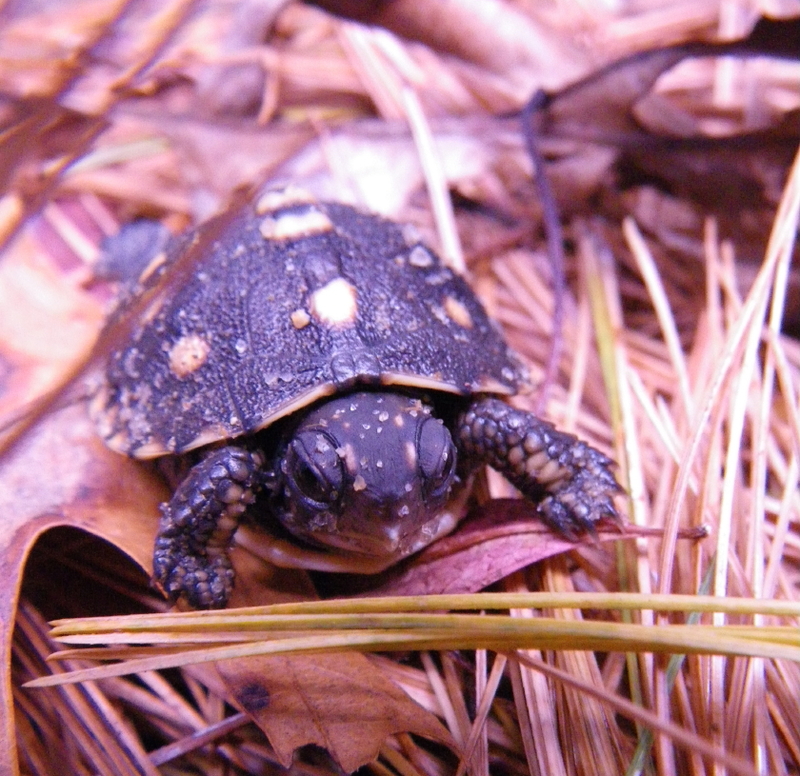 The year has been very hard on all northern turtles, not just aquatic species. This little Eastern box turtle and five of its siblings emerged as frost formed on the pumpkins. Happy Halloween from Turtle Journal. Scary, huh? But I do like the costumes! Turtle Journal photo-documented the Cape Cod Marathon 2009, run on Sunday, October 27th in Falmouth, Massachusetts. Click here to review the marathon from morning sign up through the start to the finish line. If you ran the 2009 Cape Cod Marathon, your picture crossing the starting line may be here. There are also video clips of early to mid finishers as they approached the 26 mile marker and rounded the corner of Main Street to sprint to the finish. Check for your marathon pictures at Cape Cod Marathon 2009. Click here for Cape Cod Marathon results. Congratulations to the Williams College NCAA Champion Crew Team alumnae who completed their first official marathon run! Spooky and dangerous things lurk in the shadows of a darkened museum at night. Since childhood we’ve known, despite what silly adults tried to tell us, that monsters hide in the corner of lightless rooms, wedge themselves behind drapes, and lie motionless under beds until our eyes become heavy and close in a moment of weakness. 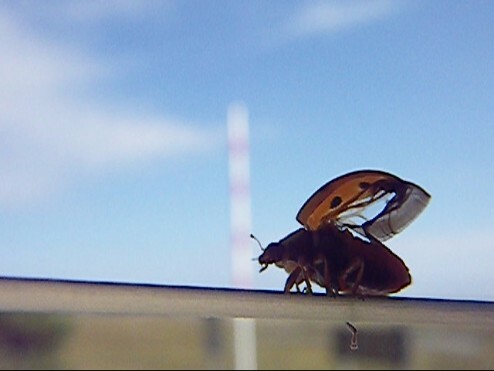 We knew what scratched against the window in a passing storm. We knew what moved curtains in a still, breezeless night. We knew what made those creaking sounds in the hallway. We knew what lay beneath. 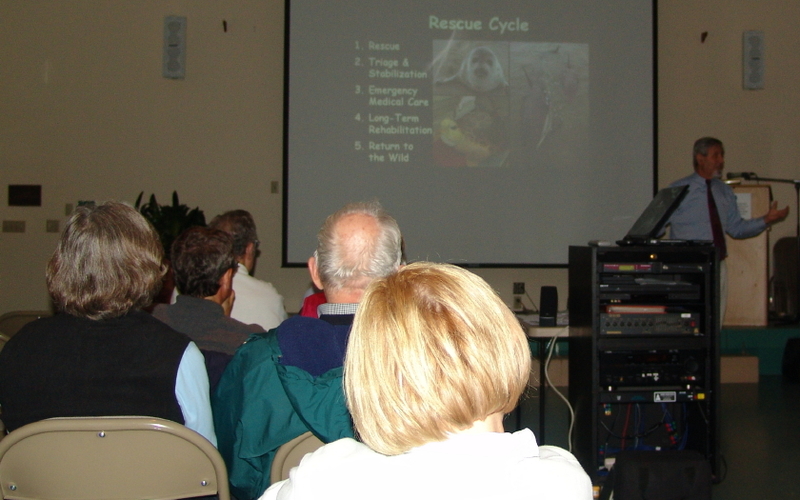 With some trepidation we accepted the invitation of the Cape Cod Museum of Natural History in Brewster to give a near Halloween, nighttime presentation on sea turtle strandings and the new NMLC marine animal hospital in Buzzards Bay. Shortly after setting up our equipment came the fateful words that must have channeled Vincent Price from too many horror classics in the last century. “Would you like to spend some time in the museum while you’re waiting for the audience to arrive? The lights are out, but you can still find your way around,” tempted the museum’s office manager and institutional memory, Julie O’Neil. As we creaked down the stairs to the darkened basement museum, edging against the wall so that no gobblin could sneak behind us, we rounded a blind corner to spy a column of moon jellies swirling like shimmering ghosts in the reflective glow of corridor overheads. Beautiful, graceful and definitely “mood setting” for a Night in the Museum. What they neglected to tell us, what no one had mentioned, was the legendary Blue Monster that haunts the Cape Cod Museum of Natural History. Part Hydra, part Medusa, part Gorgon, this terrifying spectre with bulbous eyes, prickly horns and snake-like appendages has taken hold of one of the museum tanks, patiently waiting for some unsuspecting visitor to stumble in the dark. Beware, Ye Who Tread Where No Mortal Should Venture! Still blissfully ignorant of the Blue Monster, but nervously wary of the creatures of the dark, we pressed onward through the shadows. 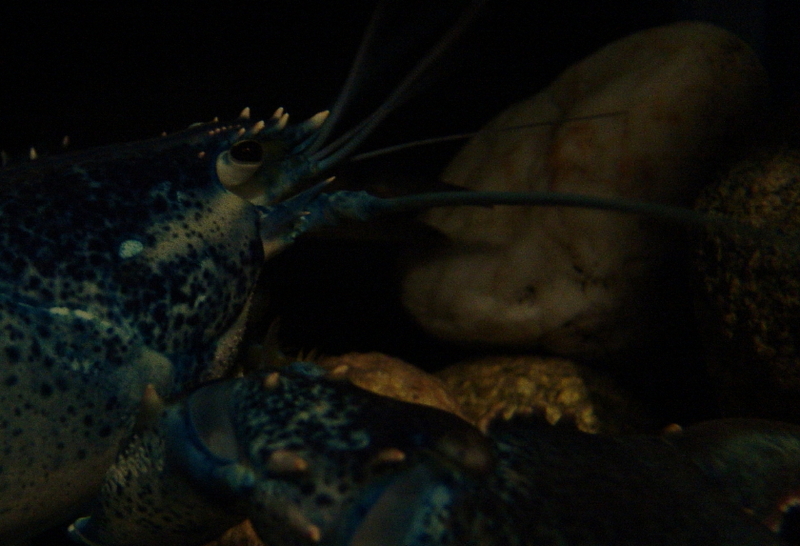 We found scratching against a glass cage to our right a really crabby prisoner who had been trapped by the museum’s Blue Monster. You could almost make out his muffled screams for help mouthed through the watery cell. We shined the beam of our pocket flashlight on another glass cell and uncovered what appeared to be a midnight mugging as one painted turtle held down another in the darkened caverns of the museum. 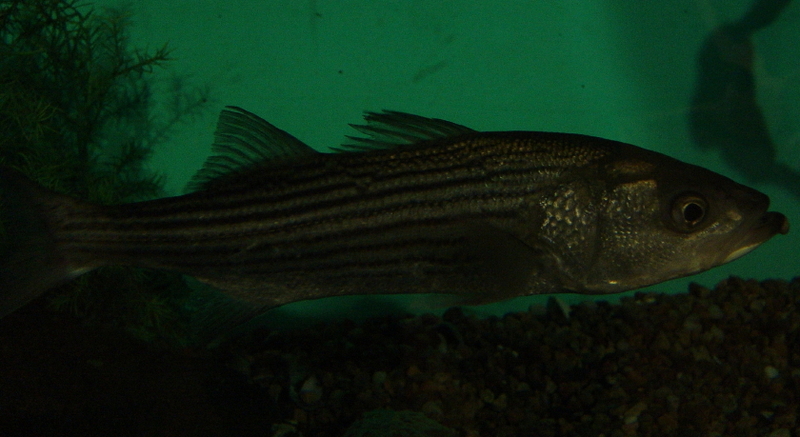 In a nearby tank a juvenile striped bass floated silently in the dark, listening to scratching, scratching, scratching, rapping coming from around the hallway bend. We looked at each other. Could this be the terrible Lord of the Lair who cast such an aura of fear among his minions? Yes, we could see outlines of the Blue Monster as he emerged from a dark corner. 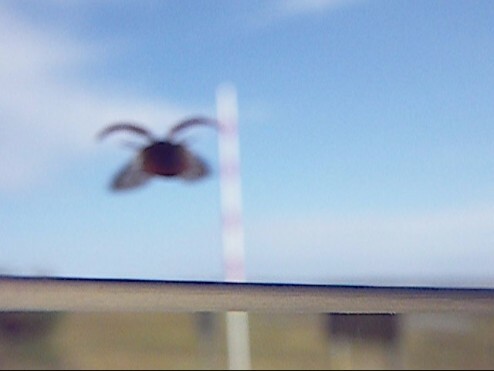 The camera’s infrared detector caught movement and snapped a somewhat shadowy mugshot of the culprit. No turning back! The monster stood between us and the stairway to freedom and back to the museum auditorium. THE SHOW MUST GO ON … monster or no monster. So, we trained our camera flash on the creature and clicked a series of images, blinding him momentarily and allowing us to escape into the light above. After our nerves settled, the presentation proved a success thanks to the gracious hosting and wonderful facilities of the Cape Cod Museum of Natural History. Our very special thanks go out to Bob Dwyer, Executive Director, and Julie O’Neil, Office Manager and recently designated Hero of the Environment. I’m personally hopeful that the blue sign over Bob’s right shoulder and the red sign over my left shoulder in this picture snapped by Sue Wieber Nourse don’t portend a secret message subliminally transmitted by the Blue Monster below. For a truly exceptional experience, day or night (!!!! 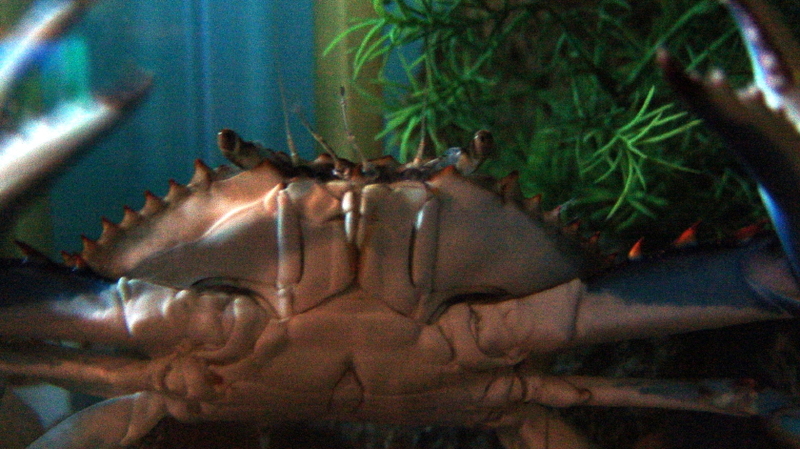 ), we recommend you visit the Cape Cod Museum of Natural History in Brewster. 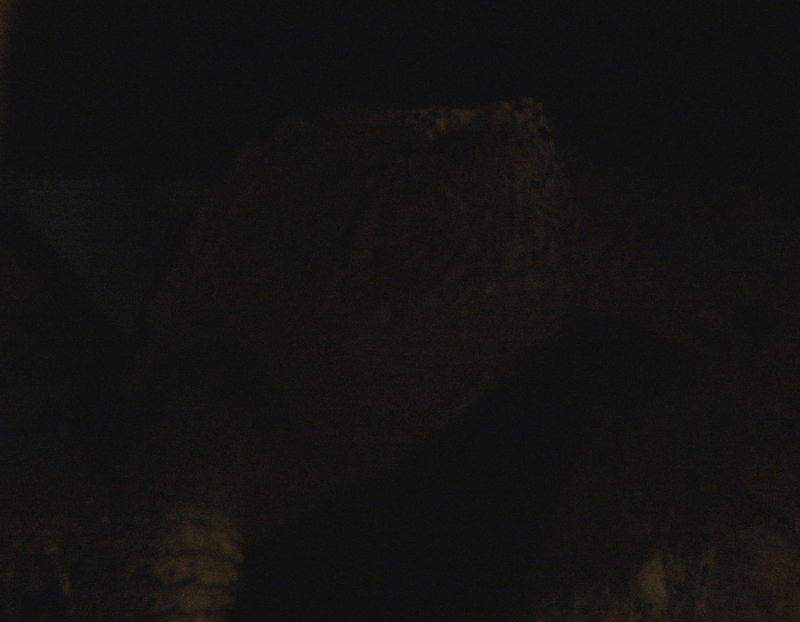 Postscript: For those who may be interested, the shadowy “monster” in the first image above is a juvenile snapping turtle in its darkened tank. We’ll leave the identification of the Blue Gorgon to your own imagination. In the Great White North of Cape Cod, the sea turtle stranding season arrives each year as frost begins to form on the pumpkins. Juvenile tropical and semi-tropical sea turtles hunker in Cape Cod Bay as the season turns, water temperatures drop and they’re cued to head south to warmer climes. Unfortunately, these turtles become trapped in bay waters as the Atlantic Ocean drops more quickly to temperatures at which they cannot function. They are faced with a wall of cold ocean water and locked into Cape Cod Bay with no escape. 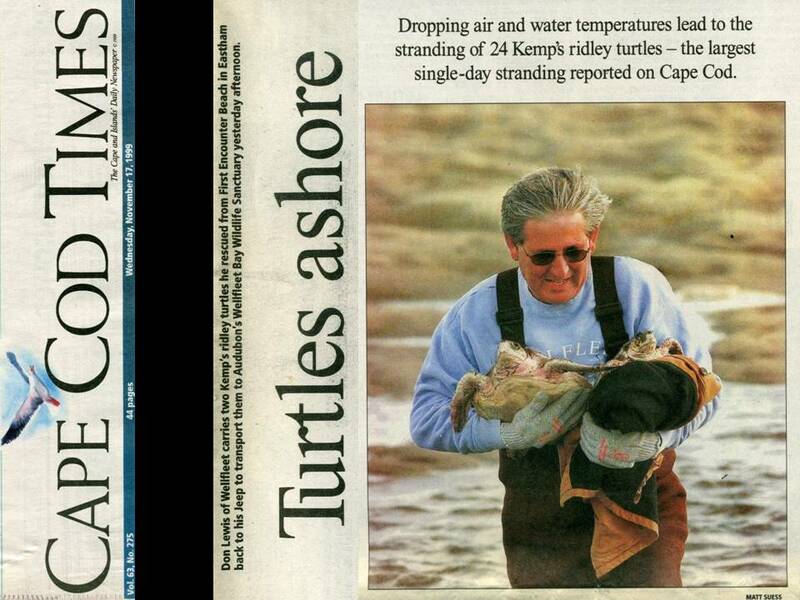 Eventually bay water, too, reaches critical temperature and these turtles become cold-stunned and strand on bayside beaches usually beginning in early November with the lightest massed turtles (Kemp’s ridleys) and proceeding through the season to heavier massed turtles (loggerheads) in December. The magic temperature is 50 degrees Fahrenheit. Once that threshold is breached, sea turtles enter into stupor, gurgle to the bottom and are tossed around the bay like flotsam and jetsam. Sustained winds drive them ashore at high tide on beaches located in the opposite direction of the wind flow. 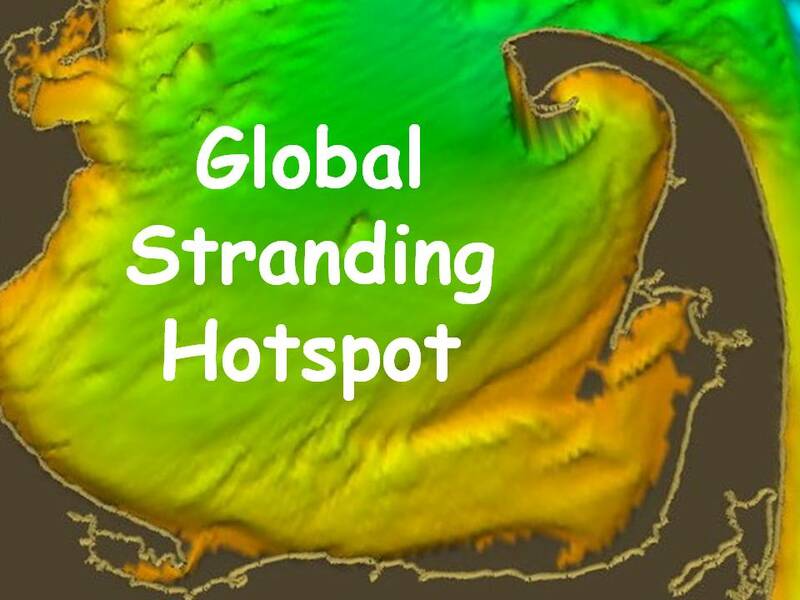 The hook of Cape Cod, an accident of the Laurentide glacier retreat, has become a huge geological trap and a global stranding hotspot for all marine animals from sea turtles to seals and marine mammals. 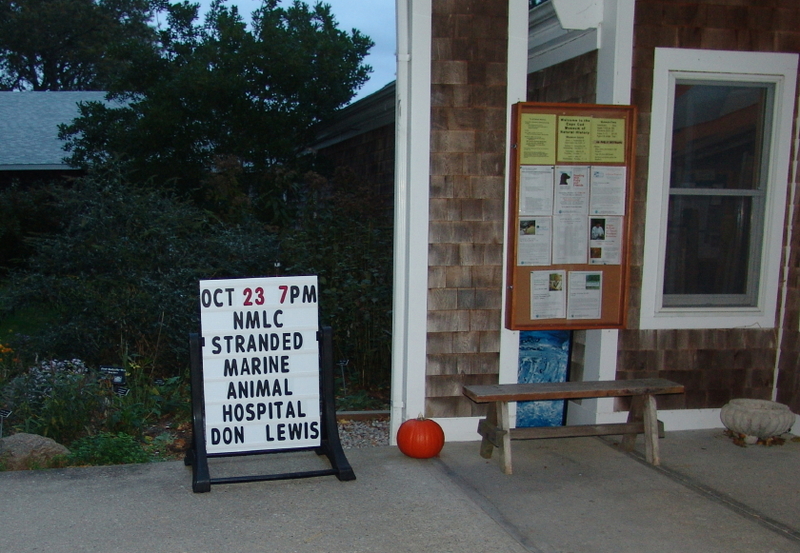 Friday night at 7:00 pm, Turtle Journal will appear at the Cape Cod Museum of Natural History in Brewster to talk about the upcoming sea turtle stranding season, about this global stranding hotspot, and about the new marine animal hospital that will open in mid-November to accommodate the rehabilitaton of stranded creatures. 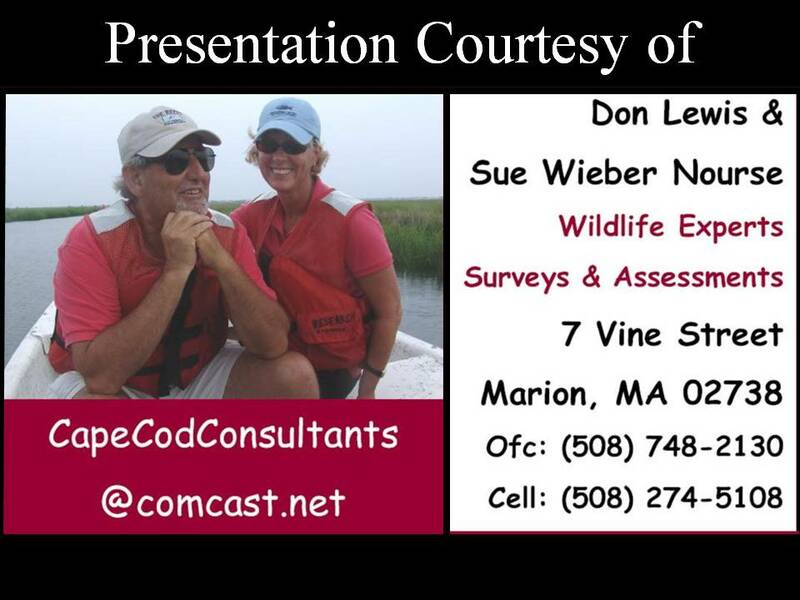 The team will offer a personal retrospective of their participation in strandings of sea turtles, seals, porpoises, dolphins and small whales on Cape Cod. 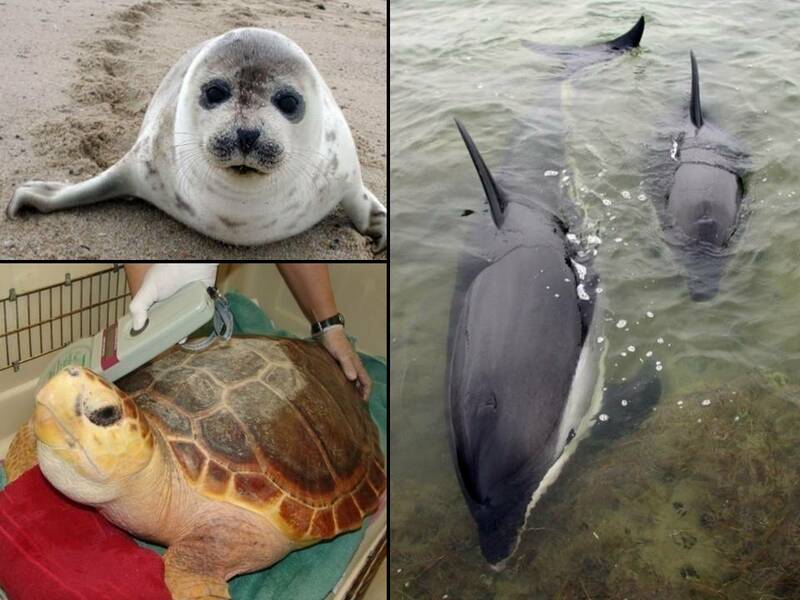 They will review the need for regional facilities to deal with the long, hard rehabilitative process for these endangered species, and they will highlight the new marine animal hospital which will open soon at the gateway to this global stranding hotspot in Buzzards Bay on Cape Cod Canal. So far this fall, Mass Audubon’s Wellfleet Bay Wildlife Sanctuary reports one large loggerhead recovered from a South Wellfleet cove and a tiny Kemp’s ridley blown ashore in East Sandwich. Strandings will begin in earnest once water temperatures drop a few more degrees to plunge below 50 F, immediately followed by a sustained wind event for more than 24 hour duration in a consistent direction to blow them onto beaches at high tide. Because these cold-stunned turtles are in complete stupor, the rules of physics rather than biology guide the progression of the stranding season. Smaller, less massive turtles are more quickly chilled and are blown ashore earlier than larger, more massive ones. Intense strandings normally coincide with the first storm event of late October or early November, continue in a crescendo until mid to late November, and then gradually decrease until the end of December. Each year brings surprises, but the trend normally resembles a bell shaped curve with the peak falling in the mid to late November period. 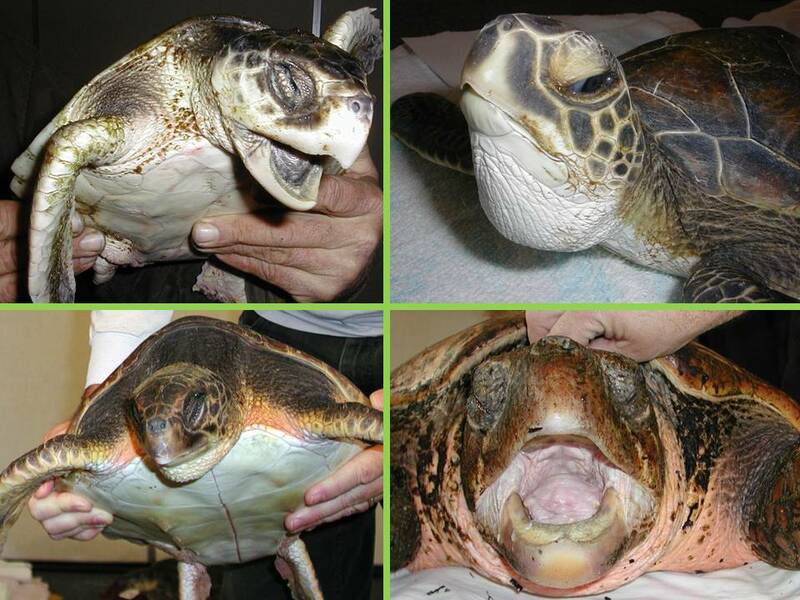 Our most frequent cold-stunned sea turtles happen to be the rarest of sea turtles, the critically endangered Kemp’s ridley (top left). We usually rescue mostly two to three year old juveniles that represent 90% or more of our sea turtle strandings each year. The next most frequent strander had been the loggerhead (bottom right), also juveniles in the two to five year old bracket. These animals are much more massive and tend to come ashore later in the stranding season. Over the last decade numbers of cold-stunned loggerheads have dropped precipitously, which concerns us that it may reflect a similar drop in the overall population numbers of this very America sea turtle. Green sea turtles (upper right) have rivaled loggerheads lately for the second most frequent strander. They are absolutely gorgeous animals. We have seen a few hybrids (lower left) in the last decade, mixtures of loggerheads, greens and hawksbills. There are only a couple of isolated hawksbill turtles that we have seen over the last few decades. Abigail, one of our younger volunteers in the early 2000s, shows the precisely correct manner for citizens to rescue cold-stunned sea turtles that they encounter on the beach. When you find an animal, move it above the high water line to ensure that it does not get dragged back out to sea. That would be a death sentence for these turtles. 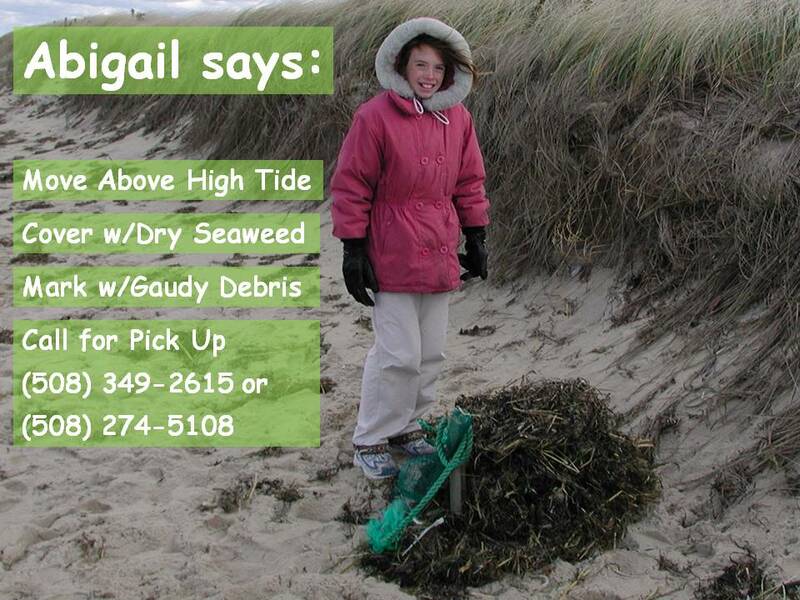 Cover the animal with dry seaweed to prevent the wind from causing additional hypothermia. Do NOT remove the turtle from the beach; do NOT attempt to warm up these animals. 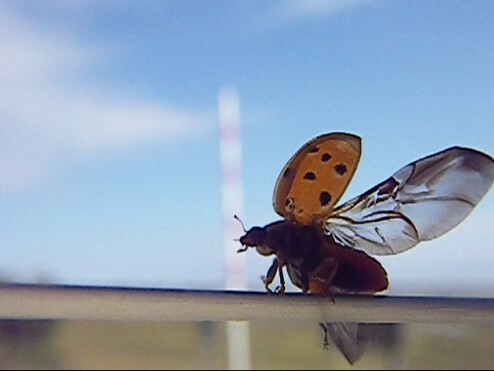 They are protected under federal and international laws, and their successful recovery requires specific protocols and treatments. Mark the pile of seaweed (under which the turtle now resides) with something gaudy that you find along the beach. 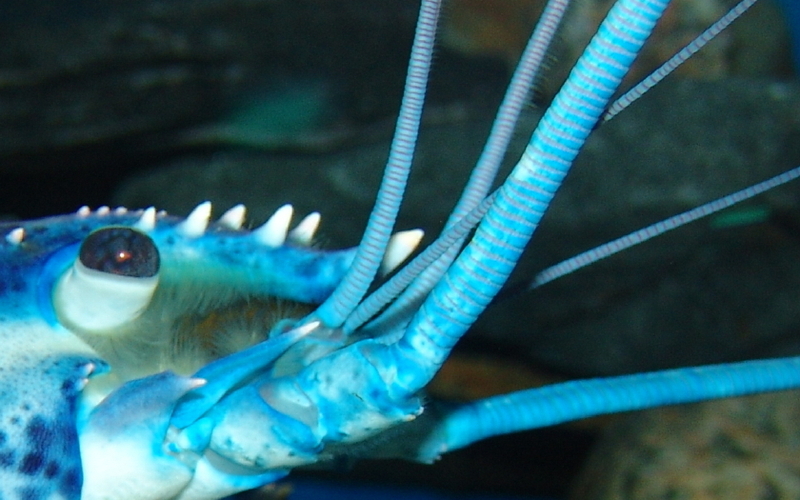 There’s always something gaudy within sight and it helps rescuers locate the animal later. Finally, call for pick up at the numbers listed above. When you identify the beach or landing be sure to give directions in terms of left and right (facing the water) rather than cardinal directions, which can be more confusing. Describing the distance from the landing in how long it takes to walk rather than feet, yards or fractions of a mile usually works better. 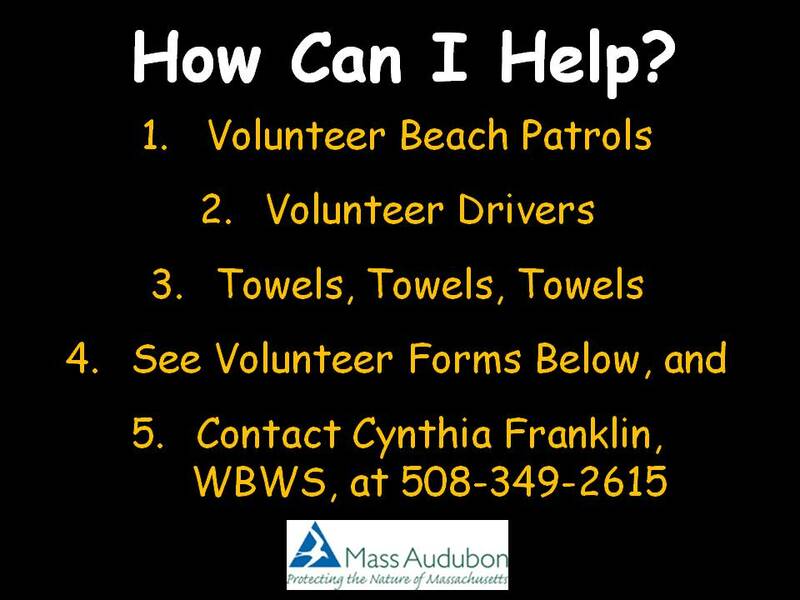 If you’d like to become a part of the rescue team that is organized by Bob Prescott at Mass Audubon’s Wellfleet Bay Wildlife Sanctuary, take a look at the PDF volunteer forms below. We always need volunteers to walk beaches, volunteers to drive turtles to medical treatment, and lots and lots and lots of towels for stabilization and triage at the sanctuary. 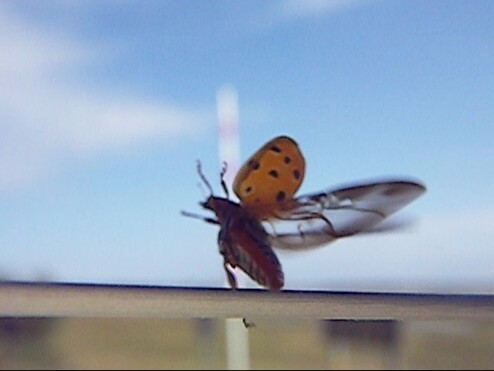 As we drove our Element along the Mid Cape Highway between Dennis and Brewster, a nine-spotted ladybug hitched a ride on the driver’s side window and slipped inside the car to make itself comfortable for the next 15 miles. 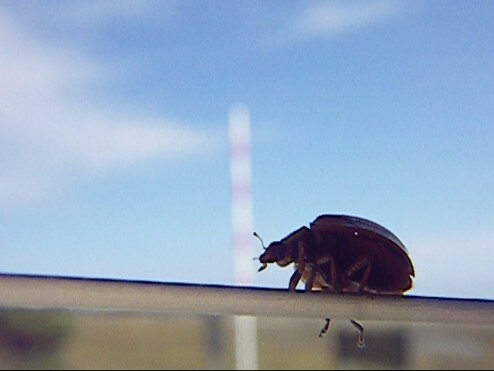 When we arrived at the Fox Island Wildlife Management Area in South Wellfleet on Outer Cape Cod, this little insect took a few moments to get acquainted, thanked us for the transportation and then scurried up the window to fly off into its new homeland. 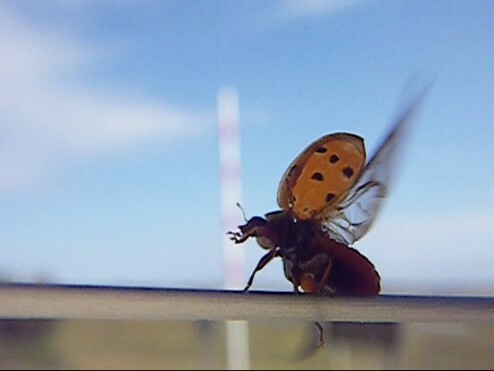 The lady bug is the state insect for the Commonwealth of Massachusetts, but it is usually noted … although not officially approved … as the two-spotted ladybug. The nine-spotted lady bug is the state insect for our western neighbor, New York. 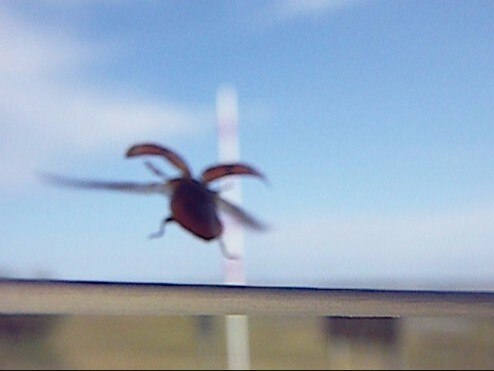 You may enjoy the following sequence of freeze frame shots that provide a nice documentation of the ladybug as it spreads its wings and flies off into the eastern horizon. 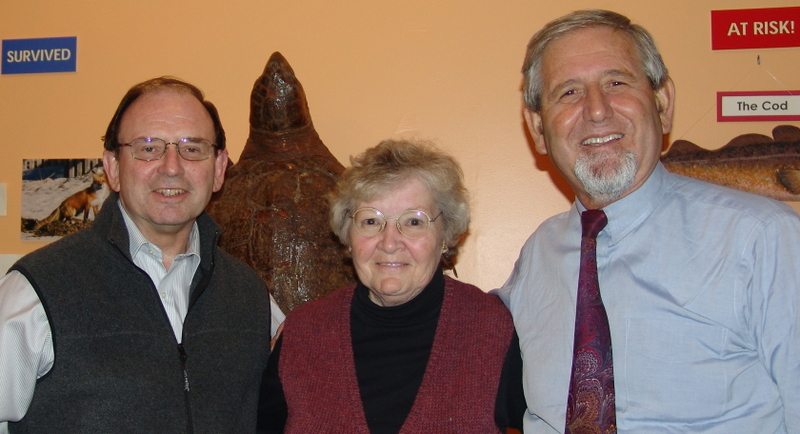 You are currently browsing the Turtle Journal blog archives for October, 2009.